Free... open... Keep one web. The Webby Awards is thrilled to honor Sir Tim Berners-Lee with a Webby Award for Lifetime Achievement in recognition of his enormous contribution to the world of Internet technology and communications. Widely known as one of the inventors of the World Wide Web, Sir Berners-Lee’s first successful communication between an HTTP client and server marked the start of a revolution–one without which the Internet as we know it today would not exist. 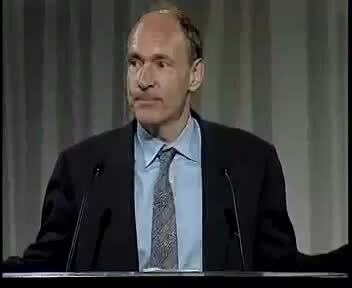 As Founder and Director of the W3C, Sir Berners-Lee continues to pioneer the open-source spirit of the Web, serving as a strong supporter of Net Neutrality and web users everywhere.